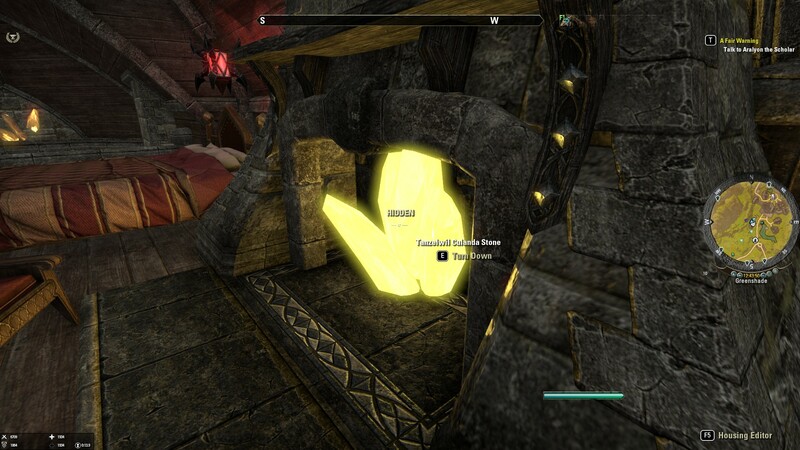 Tanzelwil Culanda Stone's light is extra bright, the whole crystal looks odd and terrible - like white hole. It is OK when turned off, but this Culanda supposed to be a sources of light. Brightness needs to be fixed somehow. Look for exaple how purple Colovian Projection Crystal glows - gently as it should be. 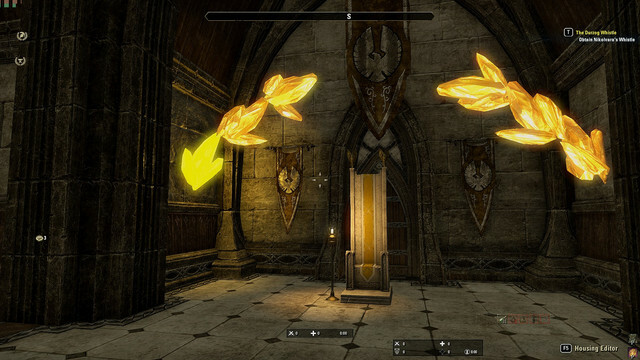 In some Ayleid ruins yellow crystal's glowing is OK - in ruins crystals looks like Tanzelwil Culanda Stone - when TCS are turned off. That problem also affects Veiled Crystal. 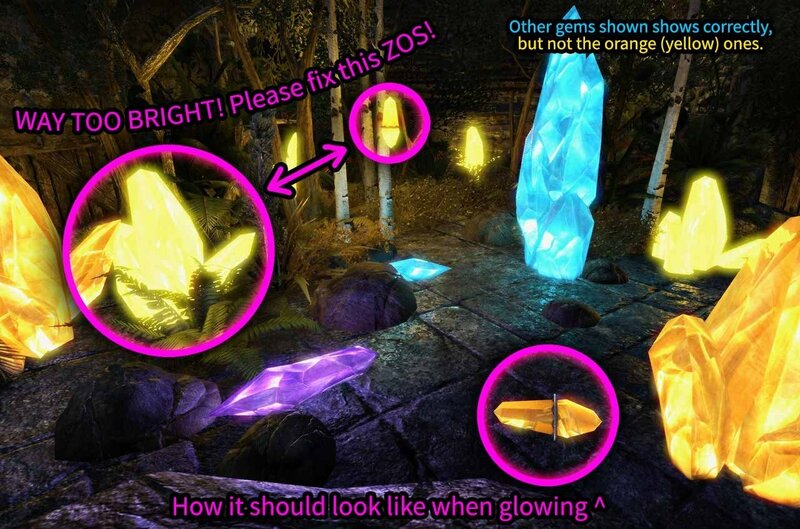 Look, it's clearly a bug: i haven't proper screen, but when the crystal only is loading - it has zero level of light. It's ok and normal. But when object is fully loaded it starts to glow! (turned off mode). When we turn it on - the light is doubled and unnatural. 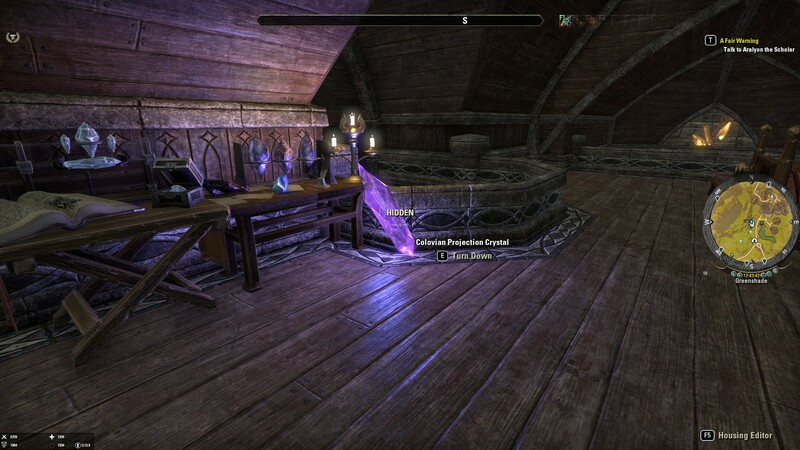 Please, remove additional glowing from tanzelvil culanda stone and veiled crystal! Upper cryastal are turned off - and obviously glowing. 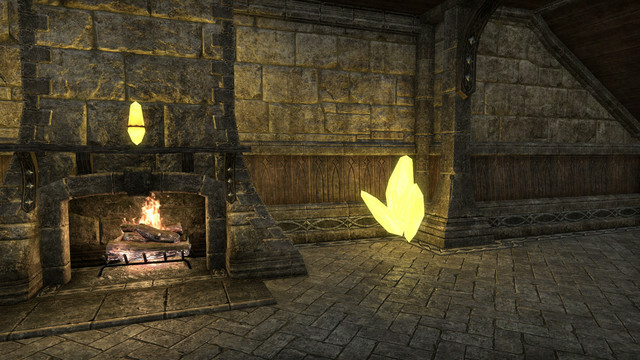 One below is turned on - so there is double light effect (self). Still not fixed. I know it's resurrecting an old thread, but please look into it! Please. It shouldn't be hard to fix, probably quick to do and it's been bugging players for years! People don't use these items, and the reason is that it's not been fixed yet. Please just do something about it!